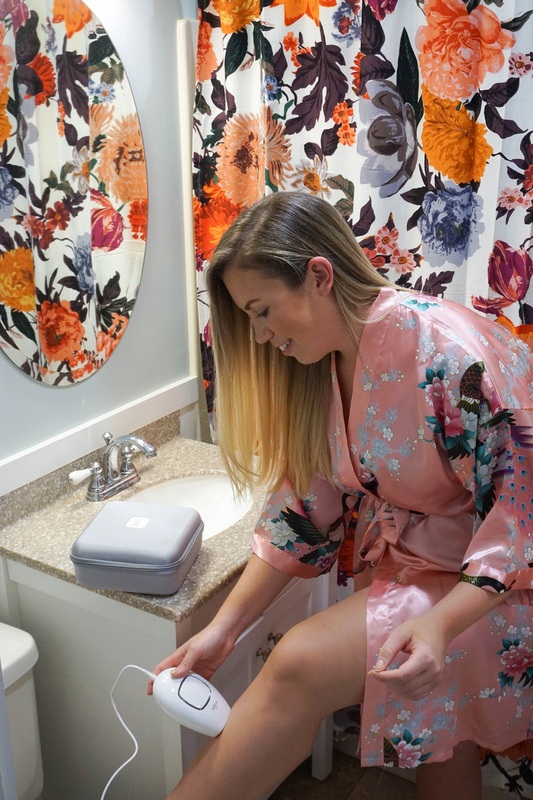 So you might remember back in June I published a blog post about my Silk’n Infinity at-home hair removal device and 5 reasons why you should try it (you can read it here). Today I wanted to give you a 5-month update on my at-home hair removal journey! In May, I started using the Silk’n Infinity on my underarms and bikini line. I have to say, while the hair in both of those areas isn’t completely gone yet, I’m seeing much slower hair growth and some patches that are hair free. I was also prone to pretty bad ingrown hairs on my underarms and I noticed a huge decrease in those. Now that I’m seeing pretty significant results I’m excited to move onto other areas of my body. Because you’re not allowed to have any sun exposure on the areas that you are using this device on I couldn’t treat my legs in the summer, but now that winter is coming, I’m moving onto my legs! Since the legs are a much larger area than underarms or bikini line, it takes a bit longer, but like I mentioned in my initial post, it’s painless! Even with a larger area like the legs, I can still complete the treatment on my underarms, bikini line and both legs in well under 10 minutes! And let me tell you, spending that 10 minutes every couple of weeks using the Silk’n Infinity saves me so much time in the shower. 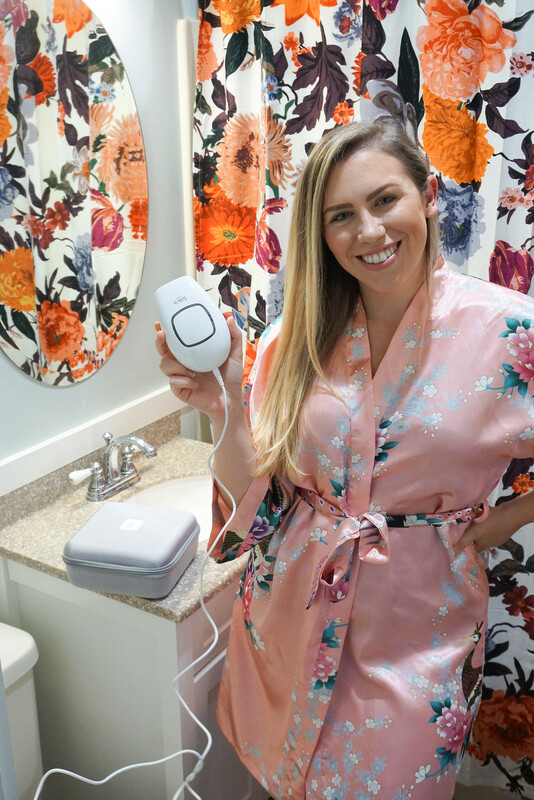 To remind all of you, the Silk’n Infinity launched this past May in the US and is an at-home hair removal device that uses two types of energy – galvanic and HPL for permanent hair reduction. 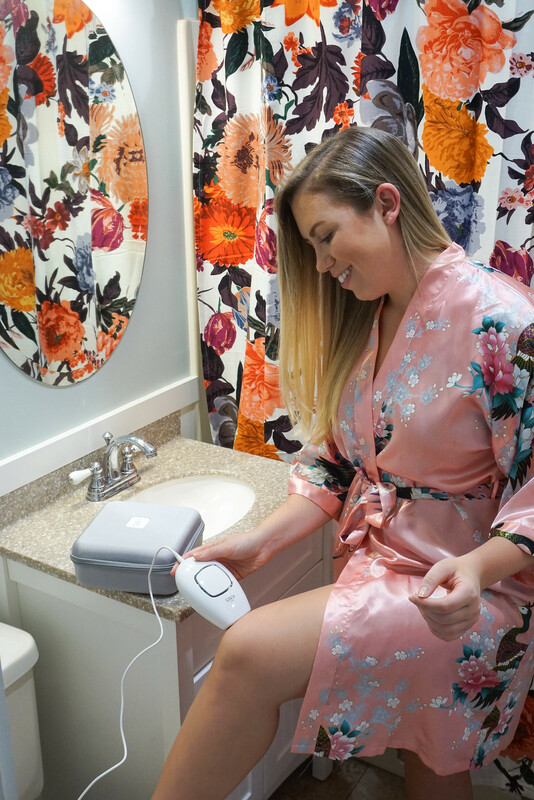 It offers the same quality results that you’d achieve with professional laser hair removal at a salon, but in the comfort and privacy of your own home! It’s the first device on the market to use two different energy types, including galvanic energy, which help to better penetrate the hair follicle for speedier, more effective treatments. I’m so happy with my at home hair removal journey so far and I’m so excited to see the results on my legs. If you’re interested in permanent hair reduction I HIGHLY suggest trying the Silk’n Infinity! Pick up one for yourself on Silkn.com and Amazon and share your experience using the #InfinitySmooth hashtag! Feel free to leave me a comment or email me with any questions, I’d be happy to help! Disclosure: This post has been sponsored by Silk’n. All thoughts and opinions are my own. Thank you for supporting the brands that make this blog possible.